Heart House Kit includes CD, Facilitator's Guide and Heart House Wookbook. This kit is a spiritual and relational self-evaluation tool. 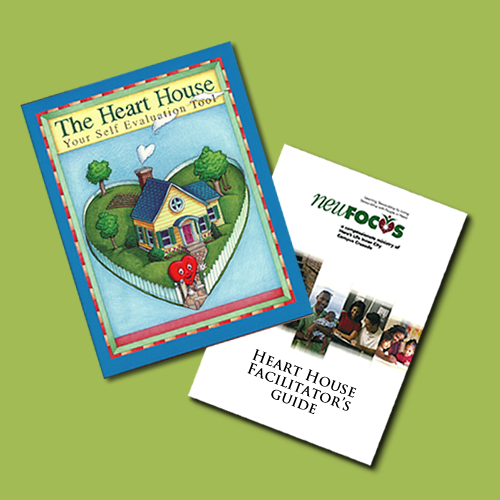 The Heart House is a biblically based spiritual and relational self-evaluation tool. It is simple to use with cartoon styling and easy to understand for adults and young adults. 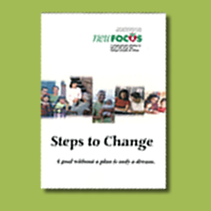 This is a simple spiritual assessment tool to better understand where a person is spiritually. Its pocket size and cartoon style make it easy to use and non-threatening or imposing. 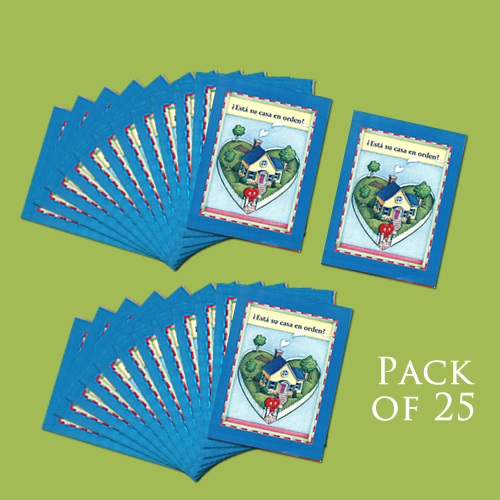 Pack of 25 pamphlets. This is a simple spiritual assessment tool to better understand where a person is spiritually. Its pocket size and cartoon style make it easy to use and non-threatening or imposing. 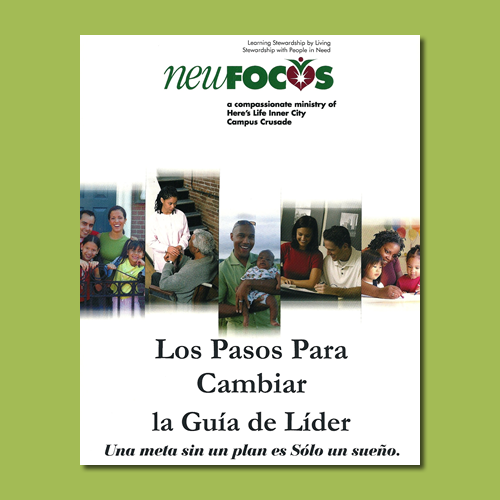 Spanish Version. 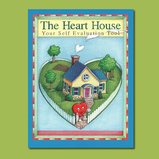 This is a simple spiritual assessment tool to better understand where a person is spiritually. Its pocket size and cartoon style make it easy to use and non-threatening or imposing. 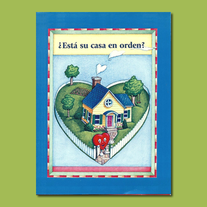 Spanish Version. 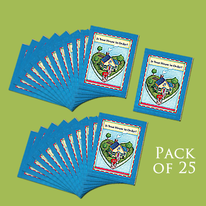 Pack of 25 pamphlets. This is a simple spiritual assessment tool to better understand where a person is spiritually. Its pocket size and cartoon style make it easy to use and non-threatening or imposing. 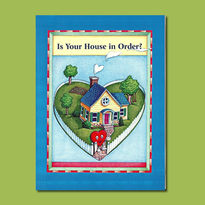 This is a workbook covering the following: Money and Me. Money - Getting it, Gaining control & Growing what you have. My plan. Giving it to others. 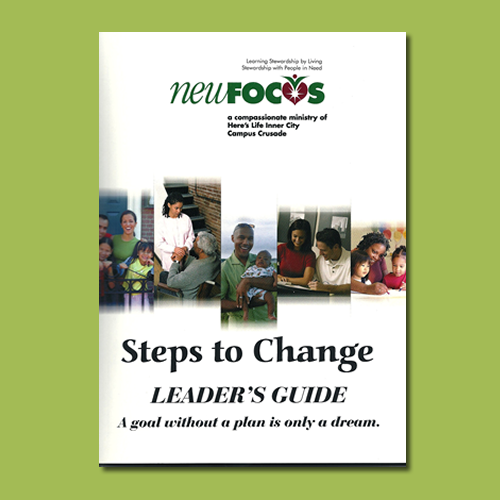 This is a leader's guide that will give guidelines and tools to facilitate a Steps to Change class. 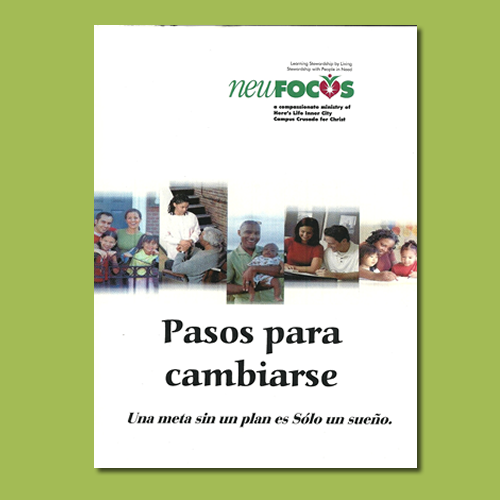 Spanish Version. 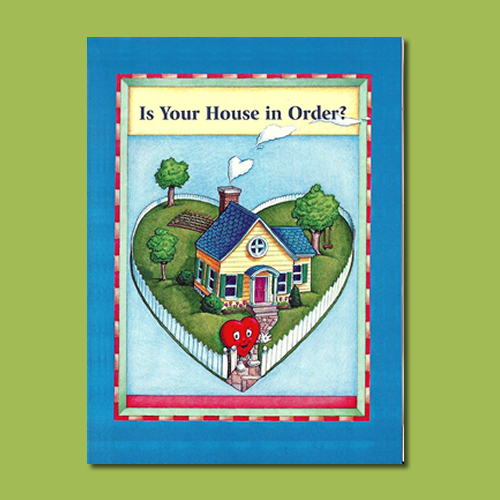 This is a workbook covering the following: Money and Me. Money - Getting it, Gaining control & Growing what you have. My plan. Giving it to others. This is a workbook covering the following: God owns it all. Accept God's Provision. Ignore the World's "Buy It' Message. 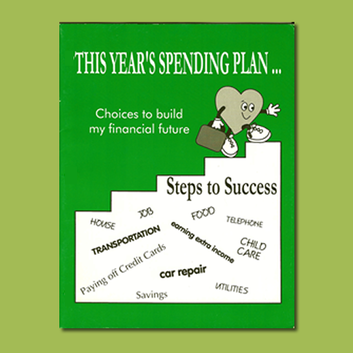 Make a Spending Plan and more. 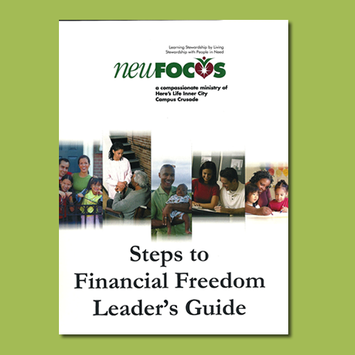 This is the guide to facilitate a Steps to Financial Freedom class covering the following: God owns it all. Accept God's Provision. Ignore the World's "Buy It' Message. Make a Spending Plan and more. 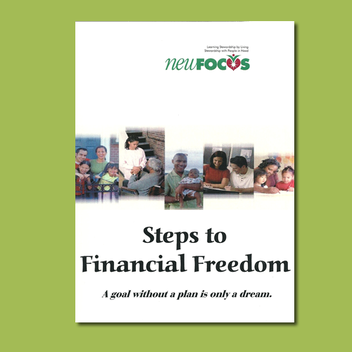 This workbook will help families see where they are and where they would like to be with their financial goals. And the actions needed to get there. 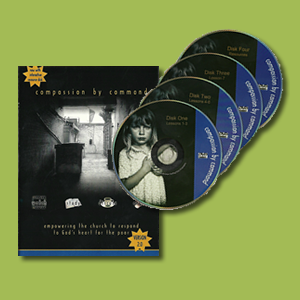 Compassion by Command is an innovative DVD resource for churches to explore the issues of poverty and delve into Biblical directives related to the poor.